Tasmania is today the oldest wine-producing region in the country? cuttings for Victoria’s first vineyard as well as some of the earliest vines in South Australia came from Tasmania? Australia’s first cookbook was written in Tasmania? a Tasmanian wine—not surprisingly, a sparkling wine—won Australia’s first international wine gold medal? Australia’s first black truffle was grown in Tasmania? and the oldest bottles of wine still existing in Australia have recently been found on a property adjoining Tasmania’s first vineyard? 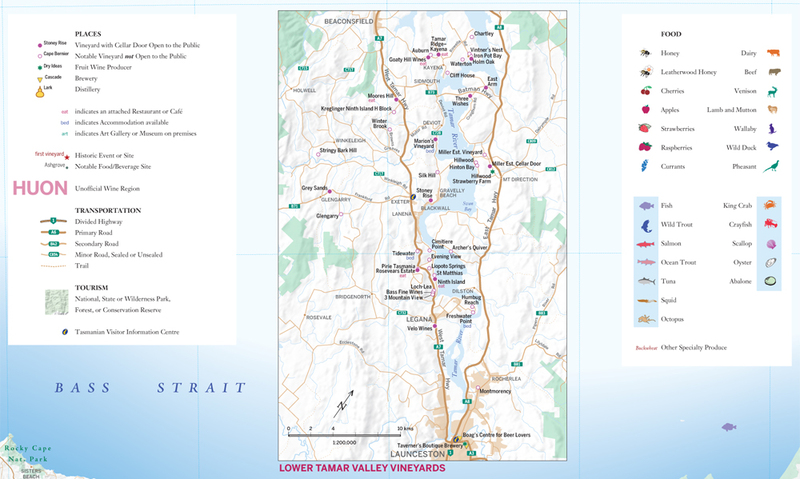 evocative descriptions of Tasmania’s wine regions, grape varieties and wines. 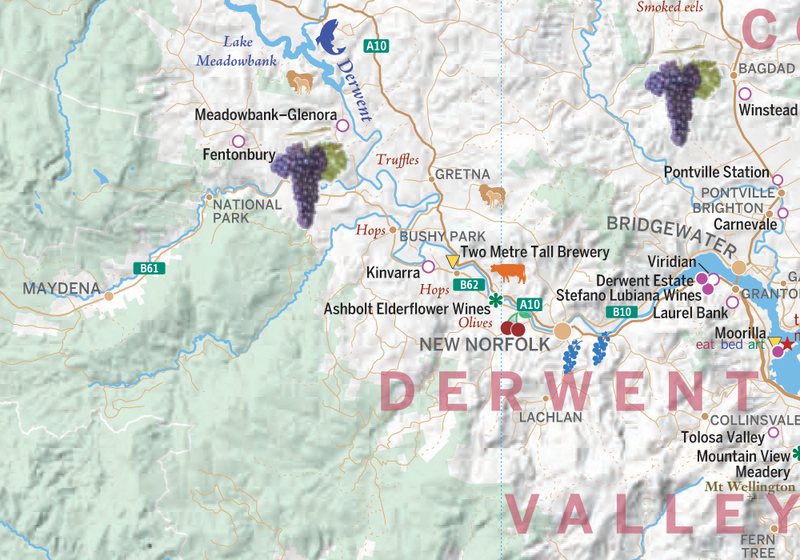 The exact locations of all the wine, beer, and whisky sites were provided by VineFinders™. 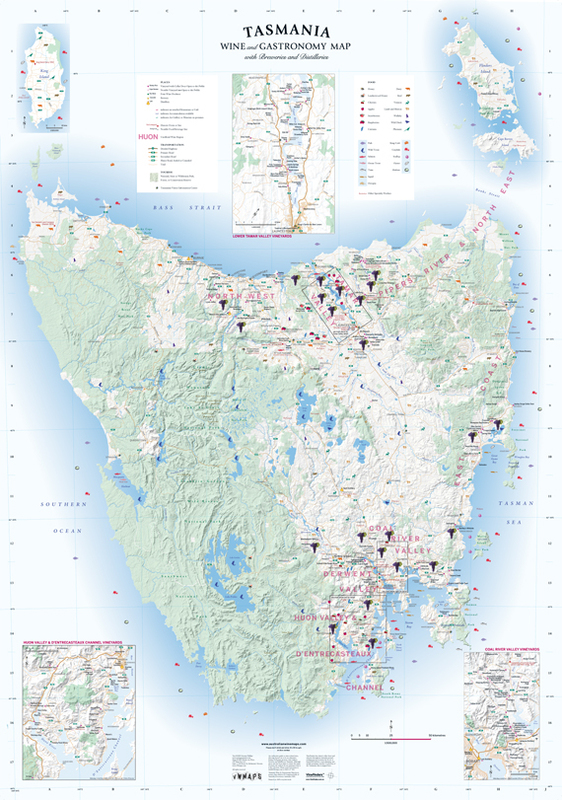 Printed on sturdy, 100% recycled paper, the Tasmania Wine & Gastronomy Map is authored by well-known Tasmanian food and wine writer, Graeme Phillips. Every two years the Surveying and Spatial Sciences Institute convenes to present awards to the best maps from the last two years. 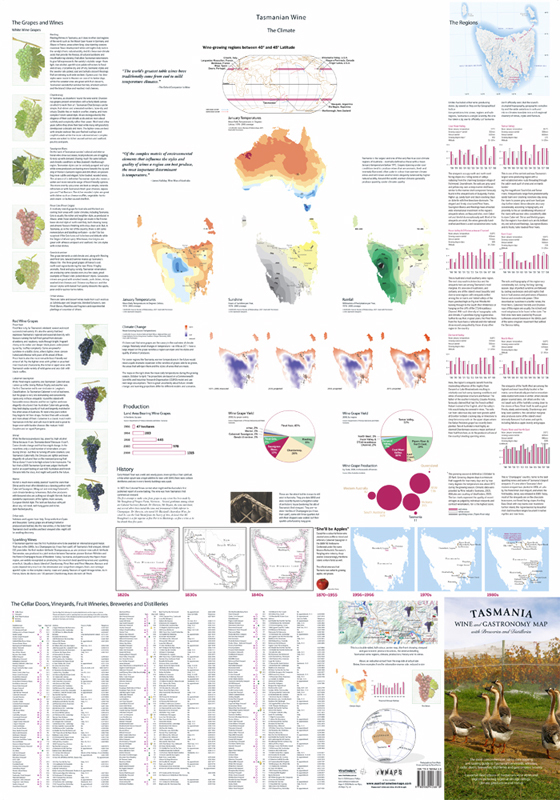 In 2009 this map won two categories: the top gong for “Excellence in Mapping” and the “People’s Choice” award!